We know you love to see live promotion examples of campaigns that are using Votigo’s technology, since they are the easiest way to understand how our platform works. They’re also great for inspiration as you start planning YOUR next campaign! And speaking of inspiration, we thought you’d enjoy these two campaigns from Gordmans and Nature’s Bounty in particular because they represent the different ways you can leverage Votigo’s various application types to engage and activate your audience. Sweepstakes are a great way to grow your marketing database and drive awareness for your brand. Since they usually only require users to complete a quick registration form in order to enter, their barrier to entry is low, which means your chances of engagement are high. 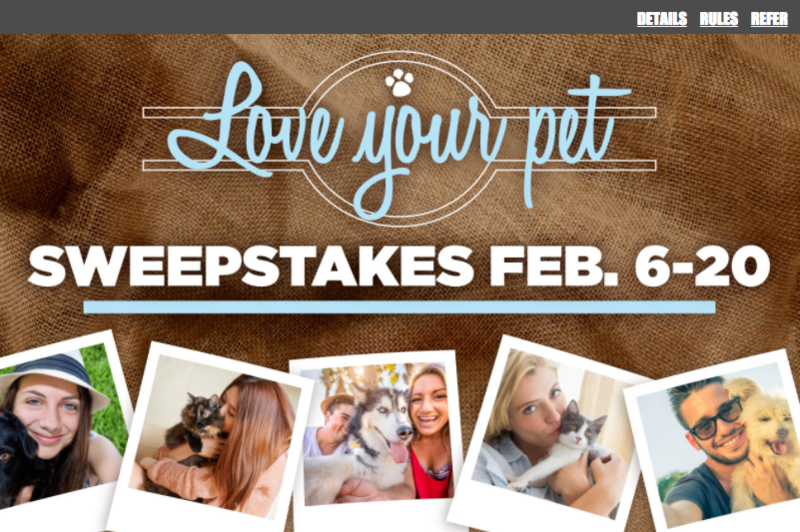 In this campaign, Gordmans is inviting their customers to share how they “Love Their Pet” for a chance to win a Gordmans gift card (to in turn drive traffic in-store). The brand is then also using a referral incentive strategy to encourage people to share their participation in the campaign for an additional chance to win. This drives campaign awareness as well as registration engagement, which is great for marketing list growth! This sweepstakes was built on Votigo’s Enterprise Platform and features mobile responsive design and social sharing. Nature’s Bounty has launched a promotion that’s designed to give their audience a way to share what the brand means to them. Entrants are invited to submit a photo with a caption that represents their commitment to a healthy future. Participants can enter via Direct Upload on Desktop, Smartphone or Tablet or with the campaign hashtag #DearFutureMe on Twitter or Instagram. Allowing users to choose their preferred entry method ensures that anyone can enter, maximizing the reach of the promotion. This contest was built by Votigo’s talented full-service development team and features fully responsive design, a custom header image carousel and viral ‘share’ functionality to increase campaign reach. Want to learn more about how Votigo’s solutions can go to work for your brand? Click here to chat with one of our Account Representatives.